- Sizes: 2" to 56"
- Material: Buna-Nitrile-Viton and other polymers available. 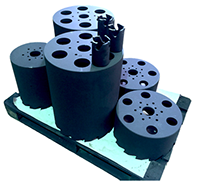 - Supplied ready drilled and ground to size or drilled and unground depending upon customers requirement. - Reinforced for high pressure applications. - Sealing Elements are to be stored horizontally on a flat surface. Cylindrical spacers may be used to stack the elements vertically providing they are located centrally on the backing section of the Sealing Element. - Sealing Elements are to be stored in a well ventilated dark area. - The normal temperature range for storage is between 10oC to 30oC. 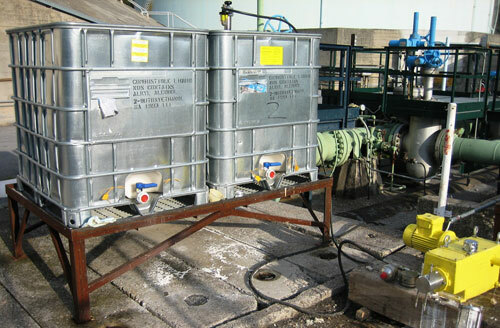 - Sealing Elements are not recommended for storage or service with chlorinated solvents, strong oxidising chemicals or fuels, and solvents having a high aromatic content. - The side surfaces of the Sealing Element are not to be subjected to external loading which may cause deformation. - Shelf Life: 2 - 5 years if stored correctly. 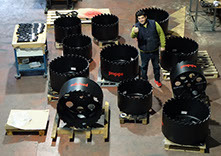 Propipe has acquired a machining company in Madrid - Alcala de Henares with enough capacity to produce our products. The CNC workshop has 500 m2 full of different Machines to Manufacture Isolation Joints, Hottap or LineStop Machines, Valves and Cutters. 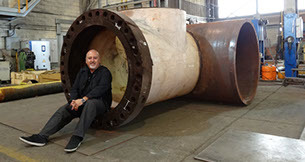 Propipe has just delivered LineStop fittings 28" x 28" 600# and 20" x 20" 600# for Transgaz. 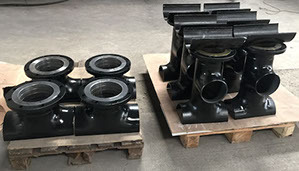 Propipe supplies first two of five Hottap Valves manufactured for a former subsidiary of British Gas Company in London. This company is involved in Inspection and monitoring of distribution gas pipes around the city. Propipe Manufactured the first Three way tee 48" x 56" 600# in the world for Sour Gas which were welded on Gas Transmission pipeline. 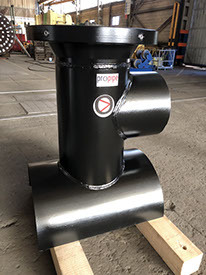 The biggest Hottap & Linestop valve ever manufactured before in the world has been delivered to Middle East by Propipe. 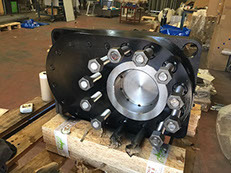 We have been manufacturing this Ø56" 600# valve using the best quality of steel bough from Dillinger in order to minimise the total weight of the valve which finally reached 20.000 Kg. The valve is prepared for Sour gas and has a Maximum Operation Pressure of 90 Bars. It is for gas Transmission pipelines. 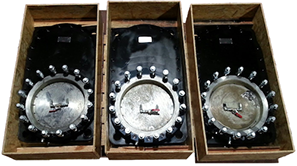 Special Lock-Sure Three way Tee manufactured for Transgaz. Ø 20 3/4" X Ø 14" X Ø 14" 300# Three way tee with a parallel branch to the main pipeline. Ø 20 3/4" is a very used diameter in Eastern Europe. 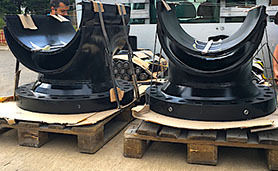 4 units of Ø 6" 600# Hot-tap and line-Stop Valves delivered to a contractor to perform Line-Stop Job in Canada. Time of Manufacturing 6 Weeks. 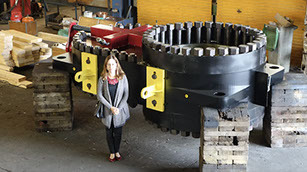 We Continue to Manufacture Large diameters of LineStop Fittings 28" x 28" 600# or 24" x 24" for European Market. Propipe starts the massive production of Hottap and Linestop fittings for Gas Distribution Network using the technology called SS. These kind of fittings have a maximum working pressure of 19 Bars and are used for Carbon Steel pipeline, API 5L Gr.b mostly. A profesional Job done in a Gas Pipeline by Propipe, installing a valve and allowing the client to control the access to the pipeline in the future. 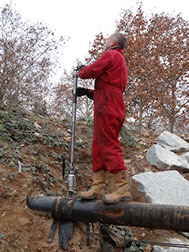 Our technician perform the job a few hours by a TM 1028 machine manufactured by Propipe. We are one of the few manufacturer for special cutters used in Lateral Hottaps. These kind of Cutter should be manufactured in one piece without any welding. 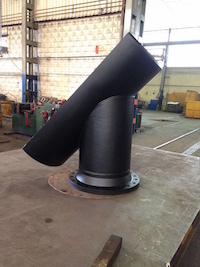 One of best contractor of PEMEX ordered a Lateral Tee to Propipe for the connection of a new Platform in the Golf of Mexico. 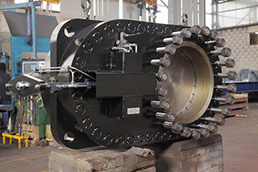 The lateral Tee was designed and calculated for high pressure pipeline system. 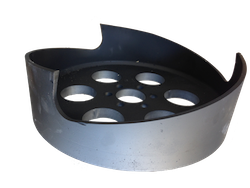 We manufacture special cutters to be used for Hottaps on Tanks or plates. Saudi Arabia is one of most important market in Middle East and our cutters are used in that region of the world during many years. 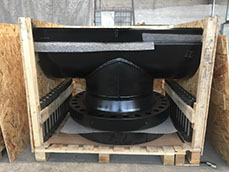 We already have supplied special cutters for lateral tees or tanks around the world. 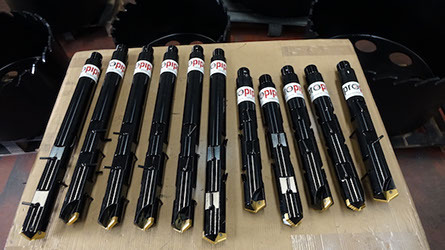 Petrobras, the national oil and gas company of Brazil chosen Propipe Hottap Machine and placed an order for two Tapping Machine to cover 4" to 20" 100 Bar and 20" to 36" 100 Bar. Propipe received its first order from Ecuador for manufacturing of TM1028 Tapping Machine including all its spare parts and field training. 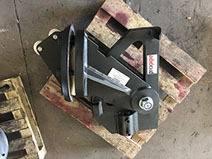 A Hydraulic Hottap Valve 24" #600 were manufactured for a contractor in Iraq that ordered a complete range of equipment and fittings to cover the national territory. Propipe has been recently awarded a 3 year general agreement at gas distribution company in Slovakia for supply of hot tapping and line stopping fittings. Propipe has signed the first contract with China Petroleum Engineering and Construction Corporation (CPECC) for supplying of Hottap and linestop fittings. 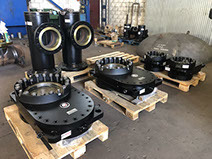 Propipe keep his place as a global supplier of Drag Reducer Agent using its experience of 20 years as a supplier and service company in the field. 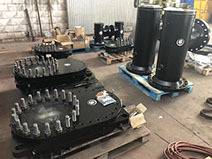 We delivered Linestop equipment to a South American country for 51 Bar design pressure gas pipelines with diameters 4", 10" and 16".